The Russian Arm Mini (Autorobot Mini) combined with Flight Head Mini 3 is a new generation of gyrostabilized robotic camera crane systems. Through Moviebird Norways licenced partnership with Filmotechnic we are proud to introduce the first The Russian Arm Mini (Autorobot Mini) in Scandinavia. We are proud to expand our capacity and offer a wider range of visual choices as we since 2013 have travelled all around Scandinavia with our Russian Arm system mounted on our custom built AMG ML55. The Russian Arm Mini is a remotely operated gyrostabilized minicrane technology that was designed for use on small camera cars, electric carts, process trailers or other small tracking vehicles to be able perform on narrow roads, small sized sets, tunnels, parking garages, bridges. speed and work in most challenging conditions. It is capable of 360° pan, tilting up and down allowing a wide range of impressively stable, smooth and very dynamic shots. Russian Arm Mini system is operated via joystick consoles from within a camera car. One of our most versatile tools. 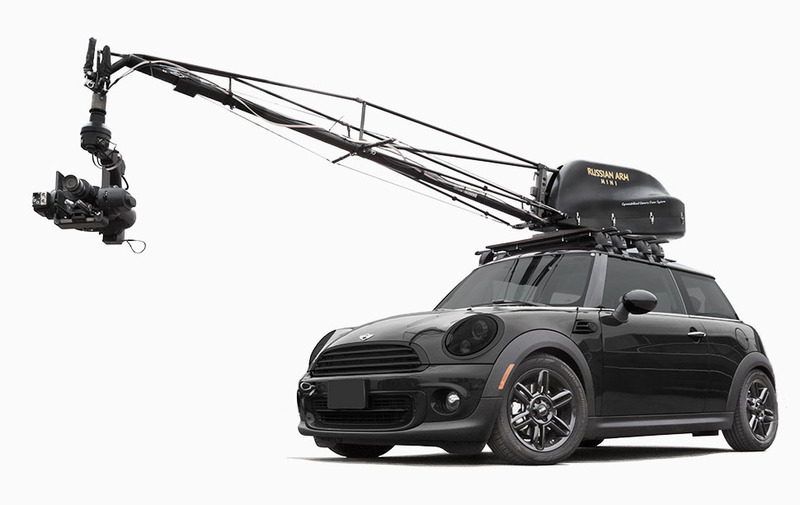 The MINI so light that it can be shipped and attached to almost any roof rack. Measurements very slightly per actual camera car. 360° panning capability around the ML55 or picture vehicle, + – 3 rotations. 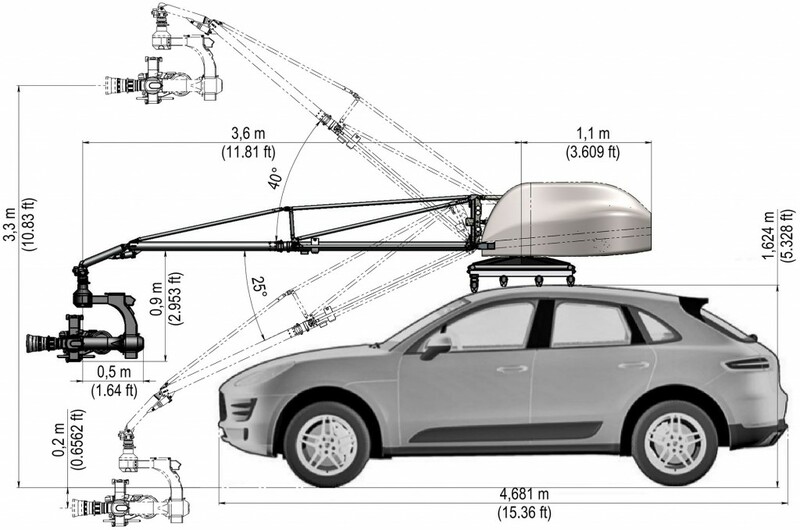 Reach: 3.6 m/ 12 ft.
Max Lens Height: 1.7m (5,6ft) + car height. Minimum safe operating camera height off the road surface is 30cm.